Shortstop Alexei Ramirez and the San Diego Padres have finalized a $4 million, one-year contract. 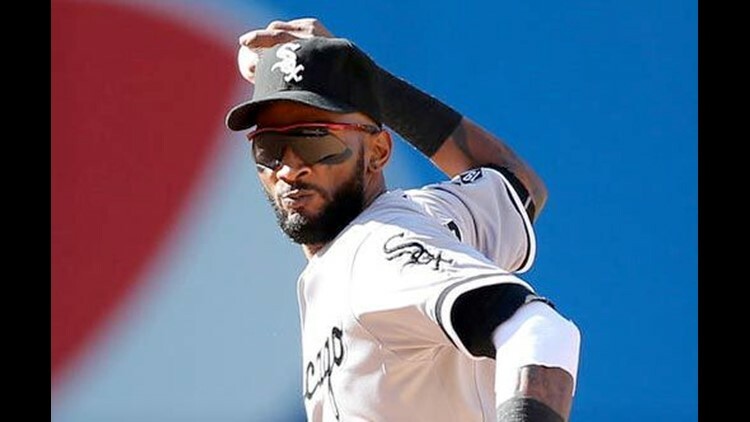 SAN DIEGO (AP) — Shortstop Alexei Ramirez and the San Diego Padres have finalized a $4 million, one-year contract. The 34-year-old gets a $3 million salary this season under the deal announced Friday, which includes a $4 million mutual option for 2017 with a $1 million buyout. If he has 550 plate appearances, it would become a $4.5 million option and the buyout would rise to $1.25 million, and if he has 600 plate appearances, the option would rise to $5 million. If he has 650 plate appearances, it would become a $5.5 million option with a $1.5 million buyout. The buyout also would escalate to $1.5 million if he is traded. An All-Star in 2014, Ramirez dropped to a .249 average with 10 homers and 62 RBIs last season. He had spent his entire eight-year big league career with the Chicago White Sox, batting .273 with 109 homers and 542 RBIs. Upgrading at shortstop was one of San Diego's top offseason needs. Alexi Amarista made 78 starts there last season and Clint Barmes 51. To clear a roster sport, San Diego designated outfielder Rymer Liriano for assignment.